'Civil Architectures' is based on the view from the studio of the late Ako Lindley, where I was teaching painting workshops at the time. It’s a gray, overcast day, very typical of Seattle. Ako’s studio was in the 619 Western building, at one time called the Ace Novelty building, later condemned after the Nisqually Earthquake in 2001. 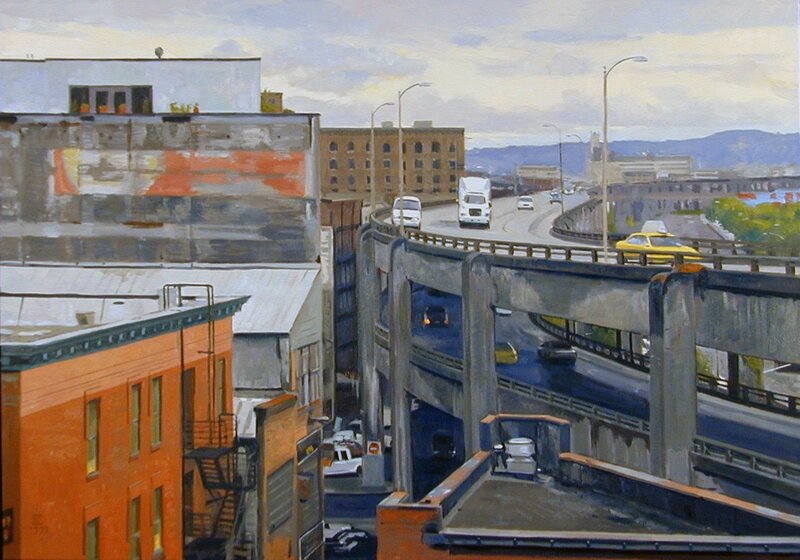 Plein Air Classes begin mid April, with the first location being in Seattle. 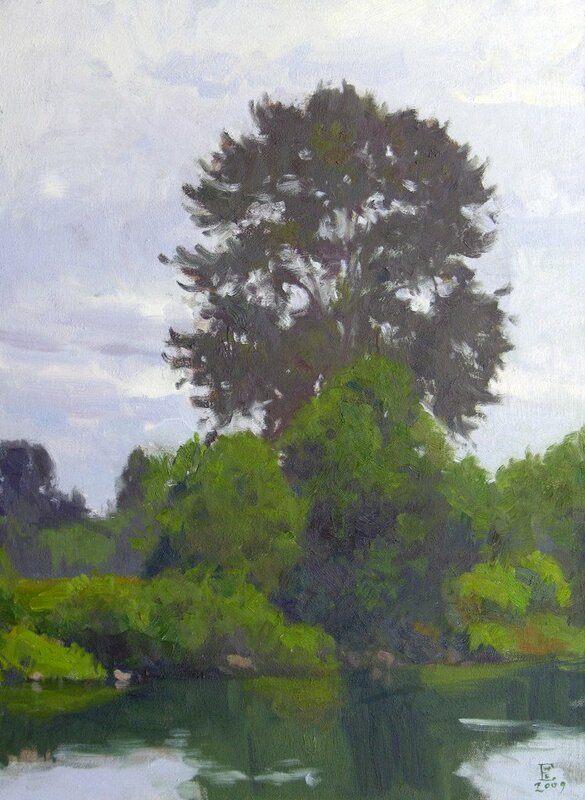 Interested parties can still get a deep discount on 8 or 16 Plein Air session credits, just look for the option to tweet about the class on your twitter account, (you’ll find this offer on a few pages of my website, in the sidebar.) Once your tweet is posted, you will be able to access a page that offers the discount, with options to pay via PayPal.